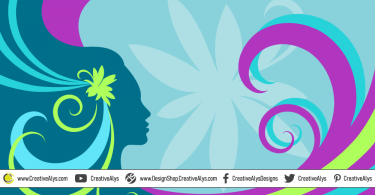 Here is a beautiful floral background that can be used as title covers for your brochures, social media covers or website headers. This floral cover background is in vector AI & EPS file formats to use and customize for every media dimension and is licensed under CC Attribution-NC 4.0 International License. Get it now and feel free to share it. Also don’t forget to visit our design shop for more great design resources at unbeatable price. Subscribe to our YouTube Channel to get more amazing stuffs.